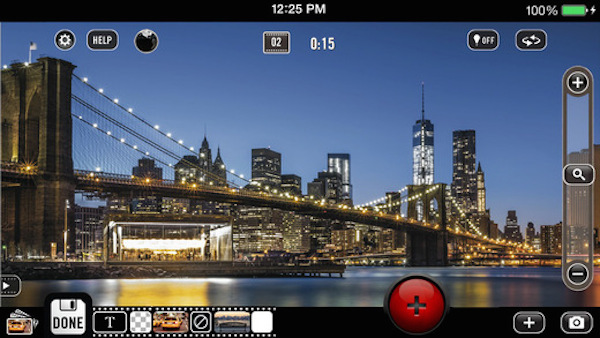 Built For The Future, Vizzywig 4K Is The World's Most Expensive App ($999.99)! We have covered some of the most interesting apps we could find on Vulcan Post. 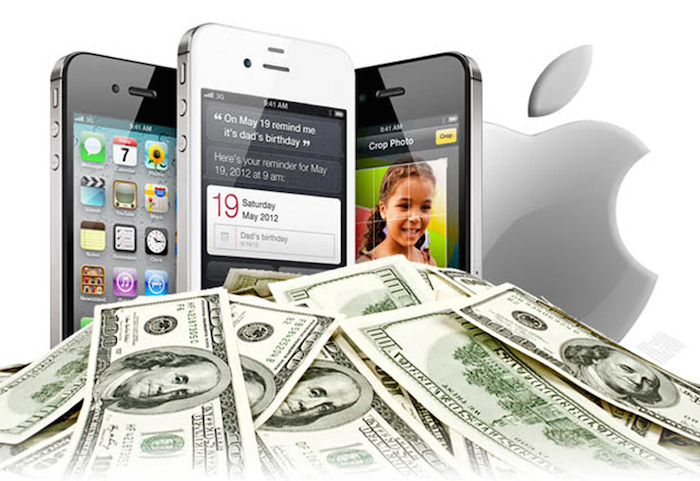 And just as we thought we had most of them covered, a new app caught our attention today, not because of what it does, but because of its hefty price tag: USD999.99, the highest price tag the Apple app store can accept. 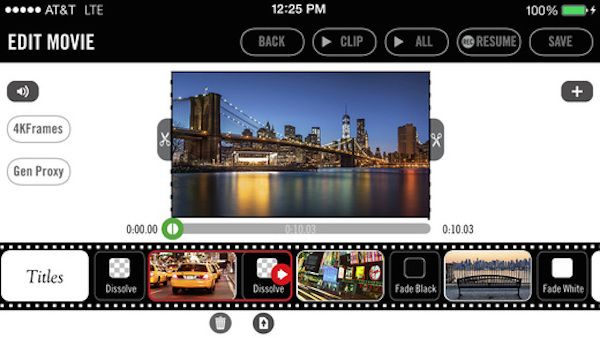 Vizzywig 4K is a newly released app for the iPhone 5s that enables 4K video recording, editing, and distribution on the app itself. Let’s take a step back to understand what 4K is. A High Definition TV with 1080p resolution is composed of two million pixels (1920 x 1080), while a 4K TV (also known as Ultra High Definition) has over eight million pixels (3840 x 2160). Therefore, 4K has around four times more resolution than 1080p and produces a clearer picture. Rather than capturing video, Vizzywig 4K app captures full 4K resolution photos at the rate of 24 photos per second along with synched audio. It then allows users to edit, add 4K transitions, titles, scrolling credits and background music and upload straight to YouTube in full 4K resolutions. 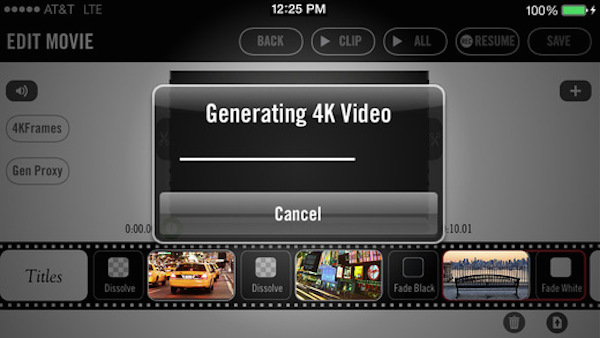 You would need at least a iPhone 5s with 32GB or 64GB storage capacity to be able to support and process the video taken using the high powered app. So how was the idea conceived? Michael Zaletel the creator of Vizzywig, told TheBlaze Apple that he wanted to make it the most expensive app of all time. However, Apple wouldn’t grant him special permission to exceed its USD999.99 cost limit on apps, so he would have to settle with that price tag. Michael is the creator of over 30 mobile apps for iOS, Android and Windows Phone. Some of his successful apps include the Fast Camera app, which is among the most popular iOS photo apps and has over 10 million yearly active users. He also created the famous Flashlight app, one of the the best selling iPhone utility of all-time with over 1.5 million copies sold. “One of the reasons it’s priced high is we don’t want people who don’t understand why it’s cool buying it and thinking that it’s like any other video app,” he said, explaining that people who don’t understand could easily shoot just three minutes of footage and completely fill their iPhone’s storage capacity. 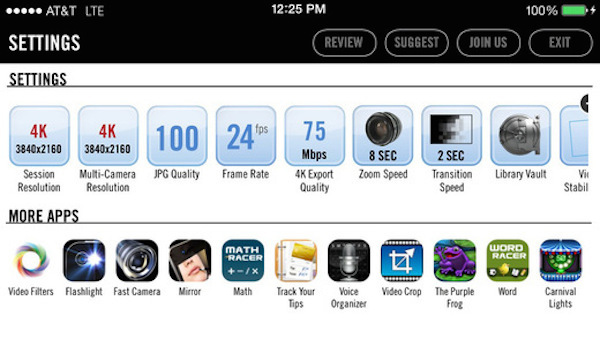 Another use case for the Vizzywig 4K app is that it captures high-quality still photos at a rate of 24 photos per second. Essentially, this means that a user could be shooting video and when they’re finished, each individual frame could still be pulled out as an individual photo. Other than getting a really powerful app, customers would also get Michael’s personal phone number and email address, so that customers can have direct and instant customer support anytime they want. It’s the most expensive app one can get after all.